What’s a common theme with all those big-league lottery winners? Apart from their amazing turn of fortune and the fact that they all became fabulously rich overnight that is? 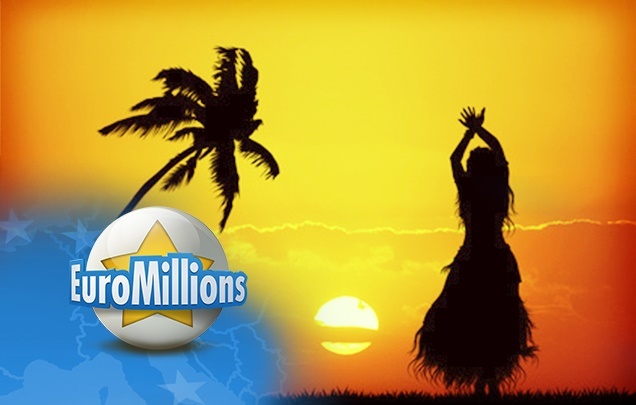 Well, pick up a newspaper and scan the headlines for the latest lotto winner – it seems every single one of them is looking for a dramatic change of scene at the earliest possible moment, eager to go jet-setting around the world. It makes a lot of sense, and is the easiest goal to achieve without actually changing oneself or one’s circumstances and lifestyle. And, such a change is definitely warranted. The win-of-a-lifetime deserves, nay, demands one! 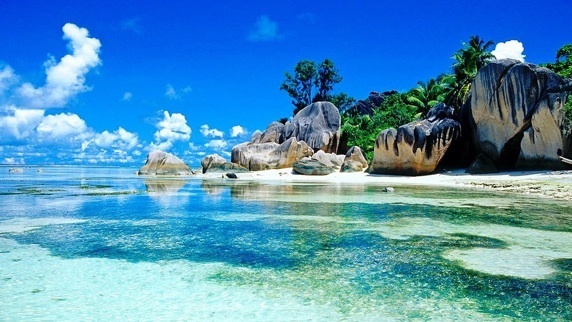 Winners are most likely to opt for a luxury vacation with lots of sun, sea and sandy beaches. There’s nothing more inviting than a getaway in a lush tropical island or beach, fringed with palm trees and surrounded by brilliant blue waters – especially at this time of year! Or maybe, it’s the thought of having all the nervous excitement and the tension of your former life gently massaged out of your system on the beach, as you lay down soaking up the sun and sipping a Piña Colada – or indeed any tropical drink with a silly paper umbrella in it! We have compiled a list of some of the most fancy vacations you can take. Naturally a lot of them do involve the sea and surf; if you want it all – a laid-back, relaxing, sophisticated vacation that also involves fun and adventure, AND comes with an easy hint of culture and heavy dollops of the good life – well, the beach it shall be! So, let’s take off! The golden coasts of Australia and its surrounding private islands are absolutely perfect if you seek anonymity from the press who just won’t leave you alone following your win. Nobody’s going to follow you halfway round the world for an extra sound-byte on the number of hours you did at your last work-place. Down Under’s where you ought to be heading for sure! With pristine beaches and reefs to go barefoot on, with fascinating marine biodiversity and landscapes to marvel at, and with some amazing spa and hospitality to unwind with –this could be the perfect little gem of a vacation to celebrate the beginning of your new life! 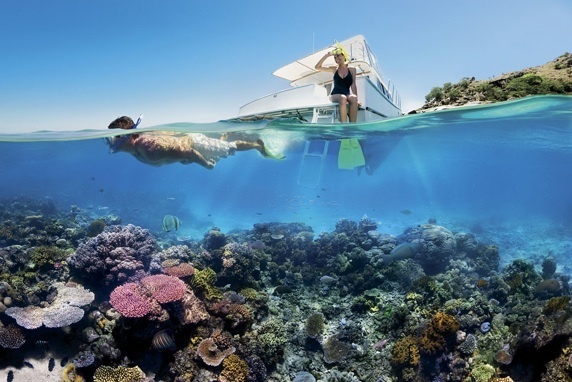 Bonus Tip: Fly to Cook Islands from Sydney for your very own Pacific Islander experience! Hawaii also remains an all-time favourite with the rich and the famous; throw in a leisurely and celeb-style week-long cruise on the Caribbean, and you’ve got a sure-fire way to enter the millionaire’s club with a bang! 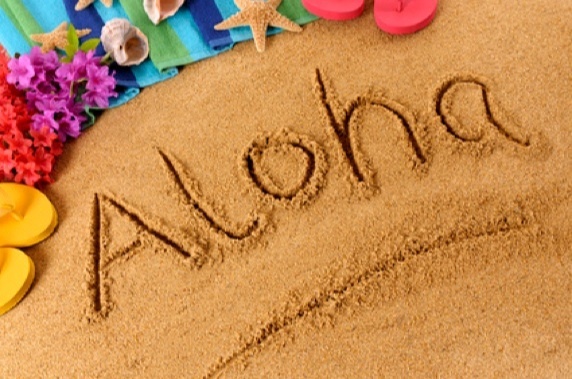 Go ‘Aloha’ with the famed Hawaiian hospitality, laze around fashionably on a hammock wearing the almost mandatory colourful beach-shirt and orchid garland and work on getting a deep tan while sipping the quintessential sunset cocktail. When you’re ready to leave the lap of luxury you can go explore the rainforests, volcanoes and the waterfalls the islands are famous for! There’s never a moment of boredom here. Bonus Tip: You can live like a king in splendid spa solitude and with wonderful sea-sport action in Parrot Cay’s private island resort on the less touristy Turks & Caicos as well. 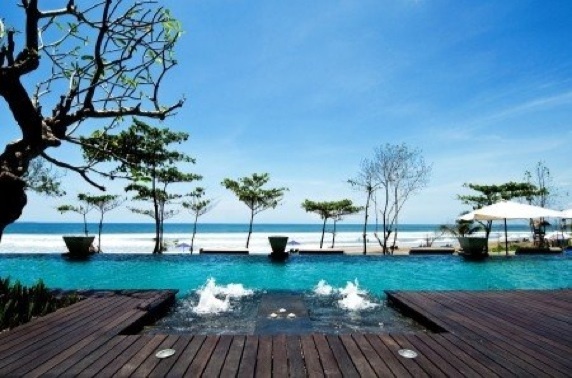 If you’re up for an extra dash of exotic culture with your luxury leisure Bali’s an excellent choice. With a great array of award-winning 5 and 7-star resorts to cater to all your indulgences, this is probably South-East Asia at its best. Sprawl out in the sun, sample the sights, savour the aromas, shack up in a traditional Balinese villa by the ocean or overlooking a rice field – with a home theatre, private pool and personal butler service. Life doesn’t get any better than this! Bonus Tip: Add some wild and wacky adventure to your Bali trip with a detour to the nearby islands of Nusa Tenggara, with picture-perfect beaches, multi-coloured crater lakes, volcanic peaks and the famous Komodo dragons. Another gem of an island with dazzling white sands that sits pretty on the Indian Ocean, this defines tropical paradise to the hilt. Life can be very idyllic and laid-back here, which makes it a haven for honeymooners and avid nature lovers alike. Don’t be fooled by the deserted beaches, this is a much sought-after luxury destination and houses a number of top-class resorts offering the best in modern hospitality and an array of amenities ranging from tree-top villas to gazebos to individual spa pools plus water-sports and luxury cruises. Bonus Tip: Some private islands like Fregate are so exclusive that they only accept up to 40 people at a time, which is the closest you can get to literally having a private island – indeed, you can actually go ahead and reserve any one of the seven beaches for a day by simply turning a ‘Beach Occupied’ sign! You can call it Hawaii’s prettier and more serene sister further south in the Pacific, but that would still be discrediting the breathtaking beauty and sheer magic of these French Polynesian islands. 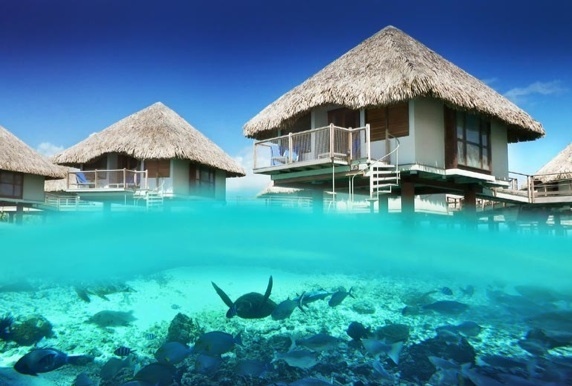 Bora Bora is, in particular, famous for its luxury over-water resorts on and overlooking the lagoon and the ocean, with brilliant views of Mt. Otemanu. Villas here have to be seen to be believed – the individual bungalows are insanely gorgeous with outdoor terraces and dining gazebos, in-room glass viewing panels, private whirlpool, private pontoon, covered daybeds, and the icing of the cake – a dip in an infinity pool that dovetails perfectly into the lagoon blues! It certainly takes tranquillity to a different level all together, a prime example of the tranquility you can buy with money! Bonus Tip: Try fitting Motu Tapu into your itinerary, even if it’s for a day or two. It’s a few hundred yards from the main island and is touted as the ultimate private island escape!